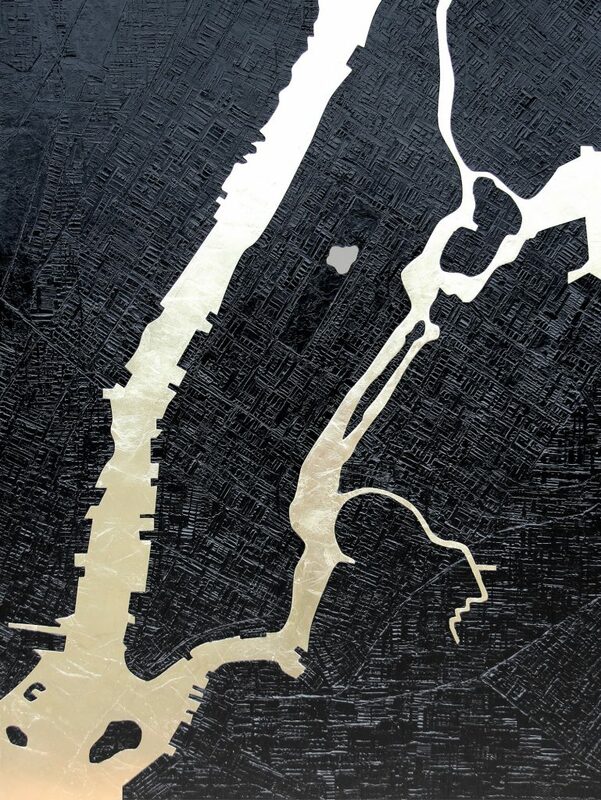 Paul’s latest work features glistening gold and impasto black oil paint textures. “I love working with these two contrasting colour combinations. The black is sinister, immersive and defiant whilst the gold is calming, enlightening and sharp”. 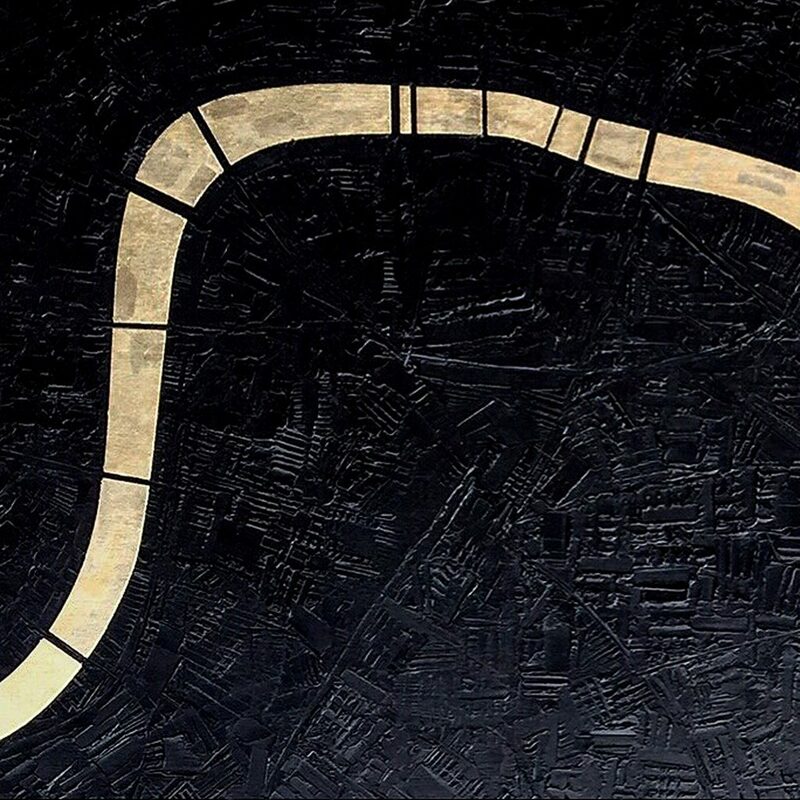 Highlighting the River Thames and Manhattan’s rivers in gold defines the organic iridescent flow of water moving through the cities. 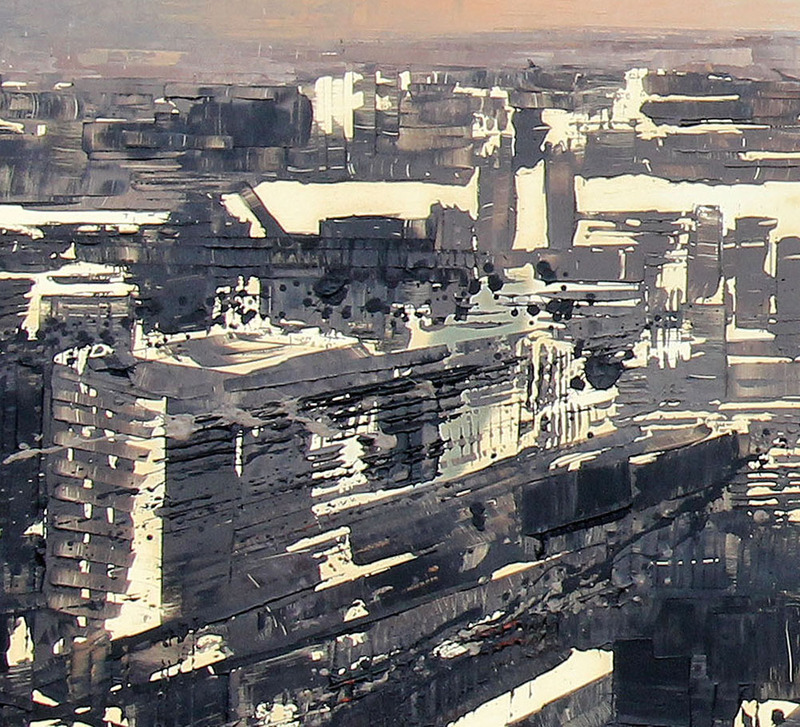 Painting on metal, Paul creates an abundance of warm bouncing light and urban solidity. The two elements contrast but highly compliment, bringing the whole composition together.